Leading Dutch plant breeder Enza Zaden has revealed it is now stockpiling a larger volume of vegetable seed at its UK depot to minimise any disruption to supply that Brexit could incur. “We will have bigger stock than normal in the UK. It’s a good thing we expanded our warehouse in Evesham by about a third two years ago,” said Enza Zaden’s technical sales representative Jill Kooijman who looks after the UK market. “We usually have only a couple of months of stock at the warehouse but we’ve got quite a bit more than that now,” she added. 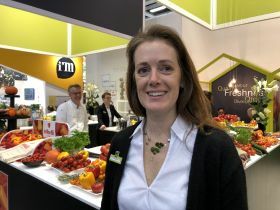 Concerns have been raised by the British Society for Plant Breeders that the number of fresh produce varieties available to UK growers could decrease after Brexit due to the costs involved in re-registering EU varieties on a national list. However, Jill Kooijman said Enza Zaden’s list of varieties was already with Defra and that it was “just a paperwork exercise” to get them all registered.